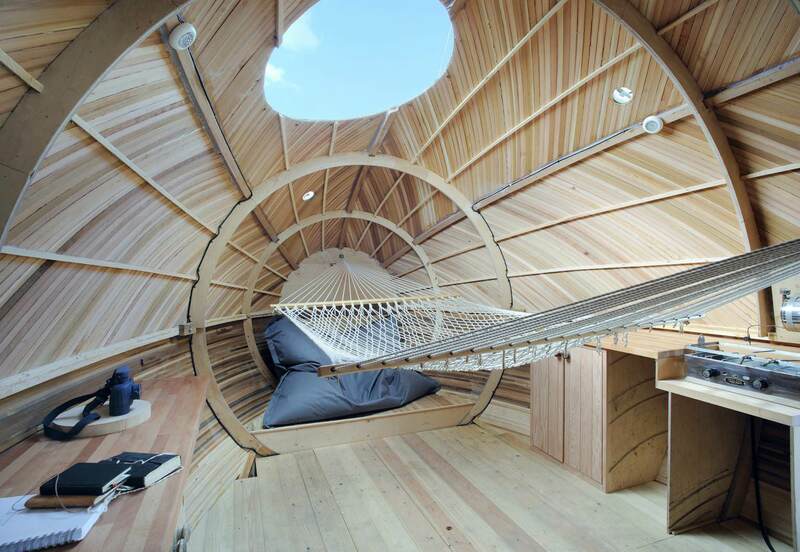 Smooth, hard and durable wood adds a warm touch to these constructions around the globe. An interesting topic that I wanted to bring up to discussion was the materials we use to build our designs. You may have noticed how popular concrete has become in recent years. Despite being an environmentally friendly material, the industrial extraction of the materials, the mixing, and the application of concrete makes it anything but sustainable. Does the same happen with wood? 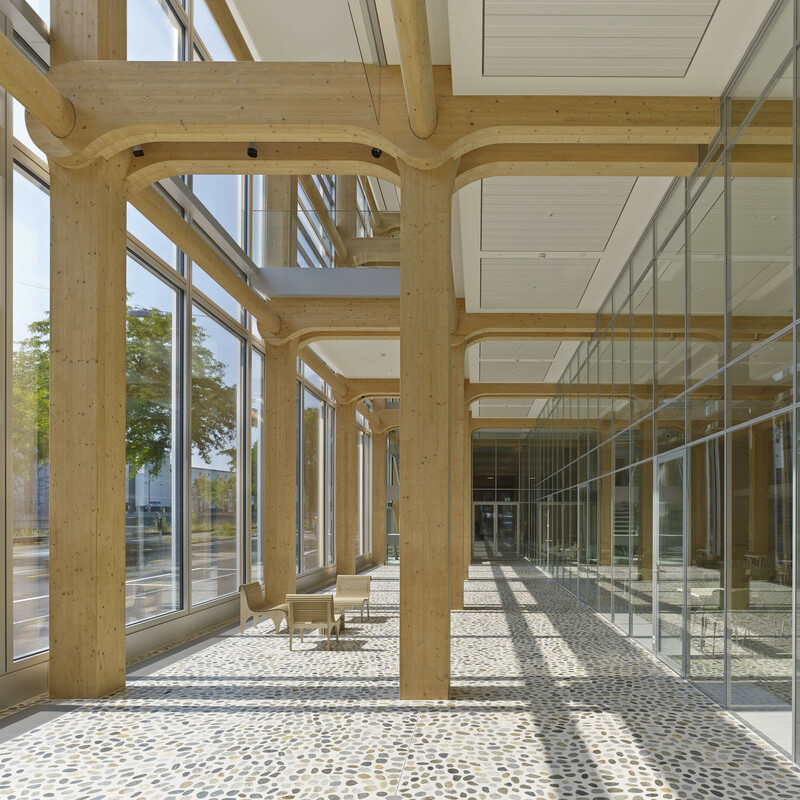 It turns out that wood is the only naturally renewable mainstream building material. Although it has been used throughout human history, it is only recently that the world’s best architects are experimenting with new structures, patterns and manufacturing techniques in this material. 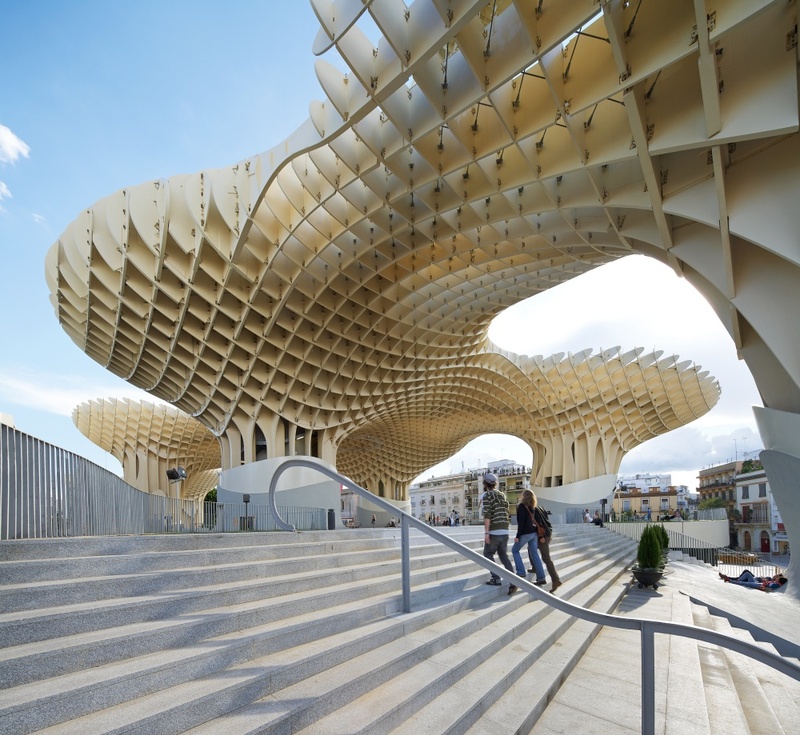 In order to find more about wood, I’ve picked 9 sophisticated built projects around the world which use this naturally beautiful material in an outstanding way: from impressive structural uses, façade detailing to interior finishing touches. I’d love to hear your thoughts. What do you think about wood? Do you think we should build more with this material? 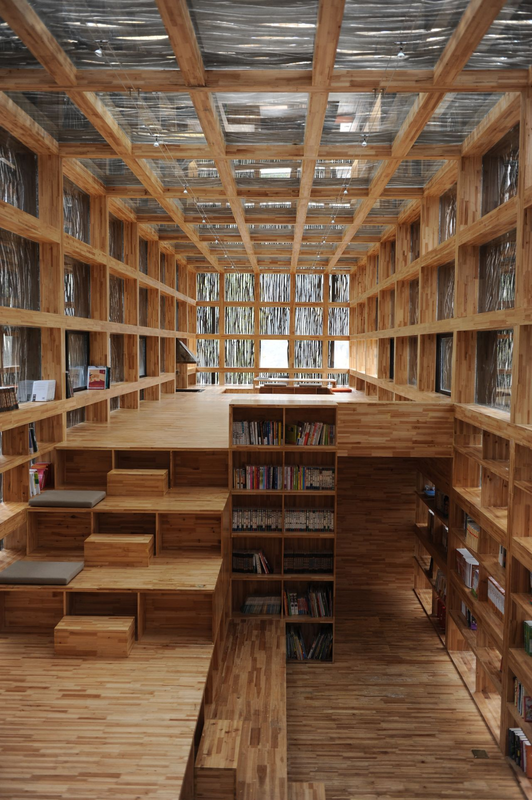 This exquisite library located on the small village of Huairou on the outskirts of Beijing was completed in 2011 by Li Xiaodong Atelier. 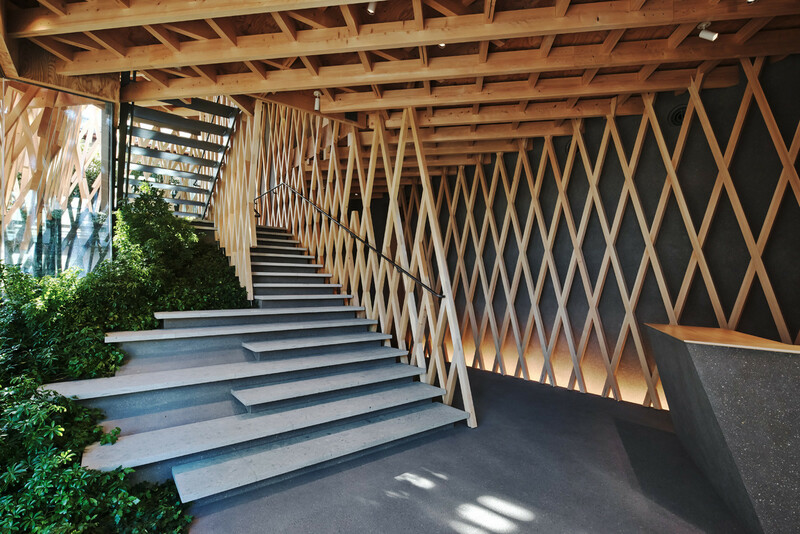 The firm, known for reflecting the Chinese culture and sensibilities on their buildings, carefully chose wood as the main material of the construction. Locals gather wooden sticks — like those used on the façade — all year round to fuel their cooking stoves. 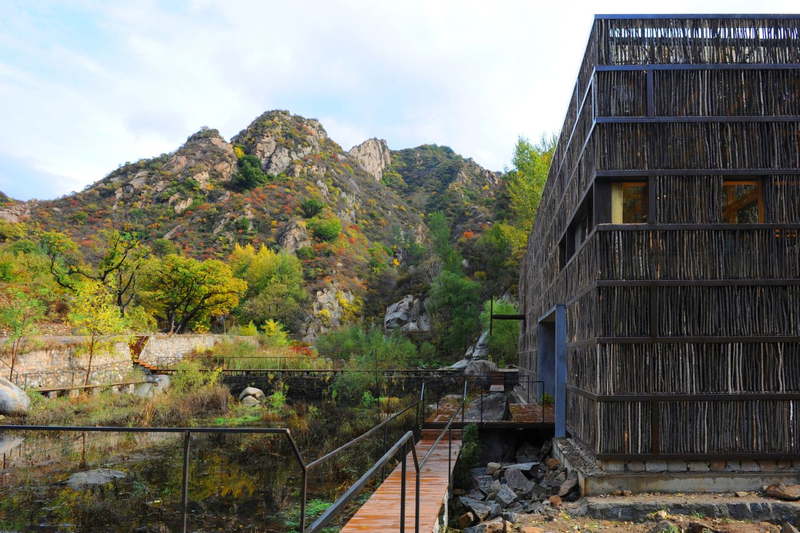 Therefore, the building naturally blends into the idyllic location nearby the mountains, also picked by the architects. Surprisingly or not, this structure took only six months to build and it was the result of an innovative project to accommodate renowned artist Stephen Turner’s residency period of up to 12 months. Built in 2006 entirely of cedar, it got every one of the hundreds of planks carefully fitted by hand. This small structure by PAD Studio Architects raised a big debate on issues of sustainability, recycling, energy conservation and rural development. Biomorphic architecture is becoming increasingly popular due to improvements in technology and construction. 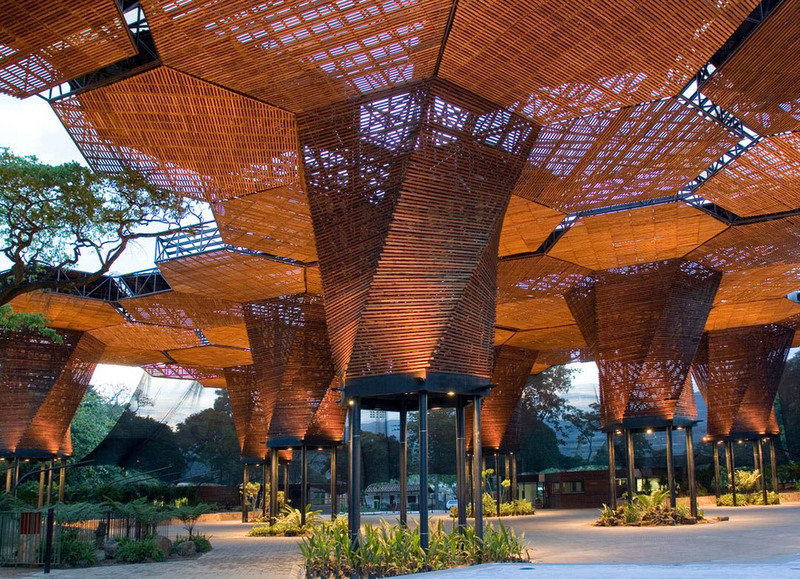 This impressive honeycomb structure design by Plan B Architects + JPRCR Architects chose wood as its main material as it acts as a natural humidity regulator, absorbing humidity in damp conditions and releasing moisture in dry conditions. The powerful concept relies on the tree structures, that can be built individually, and allow the system grow or response to any uncertainties. 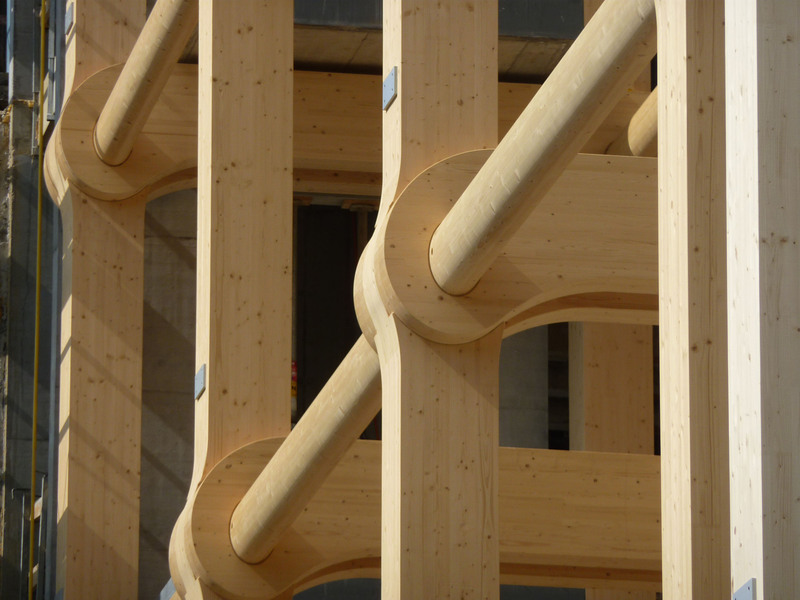 Designed by world-known Shigeru Ban in 2013, this is one of most significant wood innovations of the recent years. The timber structure, which is entirely visible throughout the building, is a unique response to this type of office construction. Every constructive detail is designed as a project of its own resulting in a special composition. It provides a strong character and high quality spatiality to the working atmosphere. 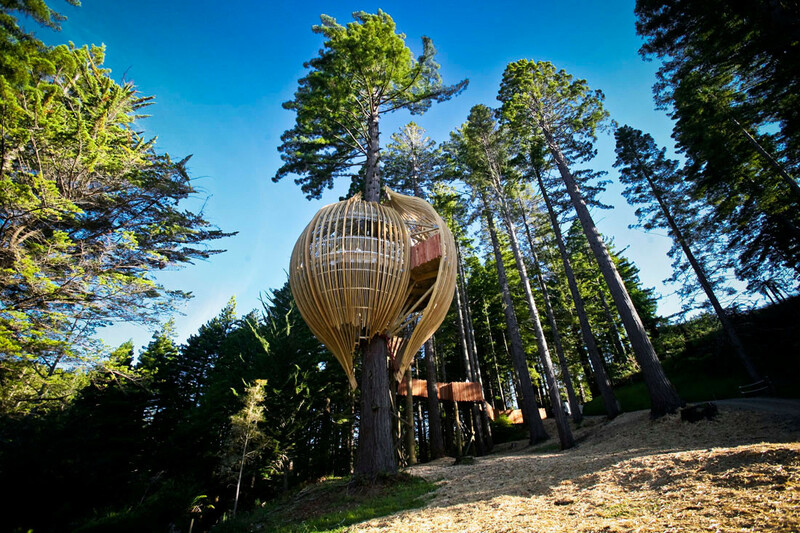 Over 40m high and 1.7m diameter at the base, this challenging tree house by Pacific Environments, can be accessed via a 60m tree-top walkway — an adventure itself. The architectural component embodies a simple oval form wrapped ‘organically’ around the trunk and structurally tied at top and bottom. Timber trusses form the main structure. The curved fins are glue-laminated pine, plantation poplar has been used for the slats and redwood milled from the site used in the walkway balustrading. A majestic place to calm down astonishingly located in one of Finland’s most lively urban spaces. 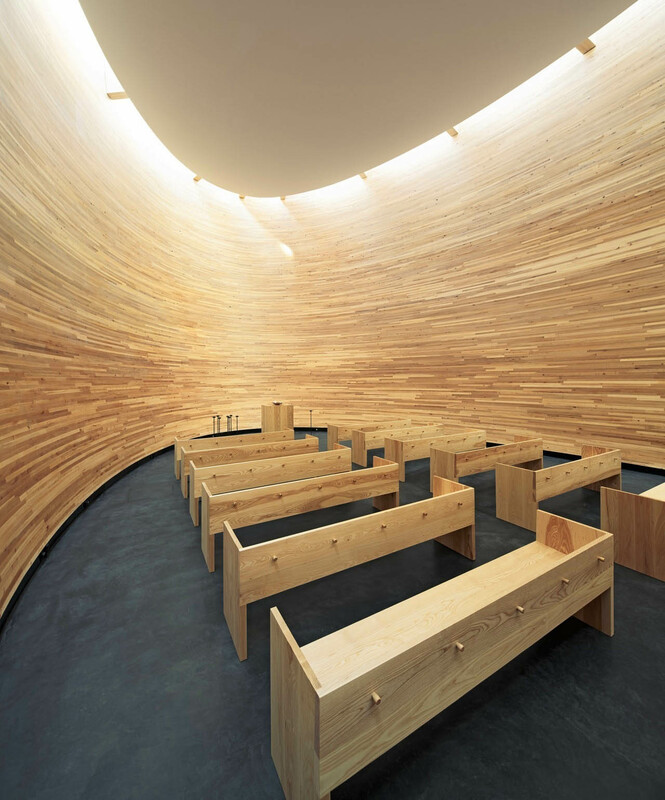 Exclusively the actual chapel space, designed by K2S Architects, is located in the wooden volume (see picture above). 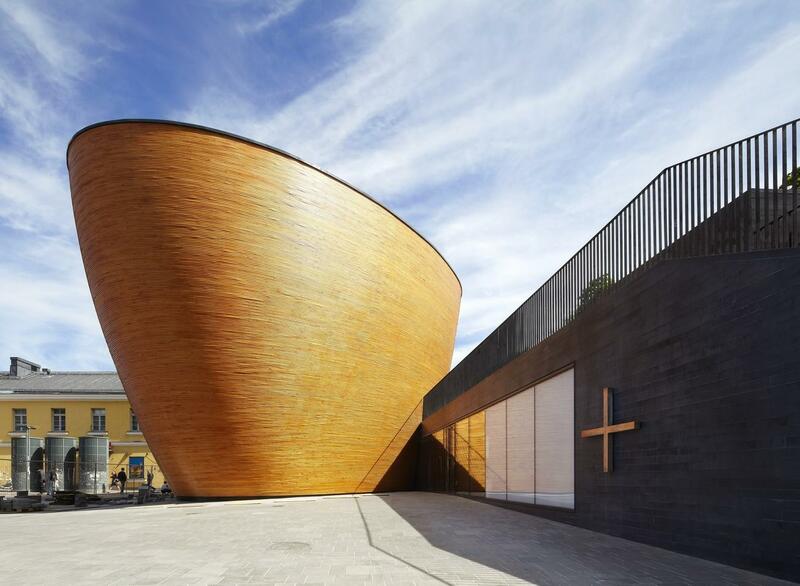 The facades are made of horizontal finger jointed spruce wood planks, the chapel’s inner walls of thick oiled alder planks and the furniture is also made of solid wood, adding up to the feeling of warmth and welcoming. This delightful and somehow hidden shop specialized in selling pineapple cake (popular sweet in Taiwan) and has the shape of a bamboo basket. Starchitect Kengo Kuma used a joint system called “Jiigoku-Gumi,” traditionally used in Japanese wooden architecture for the structure design. As it ages, it will develop a patina which is part of its character. Designed by J. Mayer H + Arup as one of the largest built timber structures in the world. 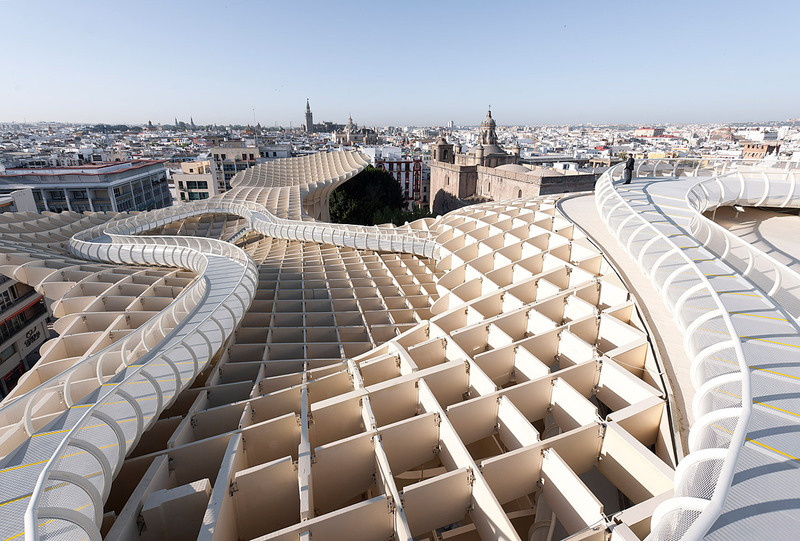 It’s located at the Plaza de la Encarnación in Seville, a rectangular area of approximately 15,000m2. Among the many curious spaces of the structure, the panoramic terraces are the favorites as they offer one of the best views of the city centre. Dating from the 17th century, the West Brabant Water Line is a defense-line consisting of a series of fortresses and cities with inundation areas. The bridge, entirely made of wood, works like a trench in the fortress and the moat, blending in with the outlines of the landscape. 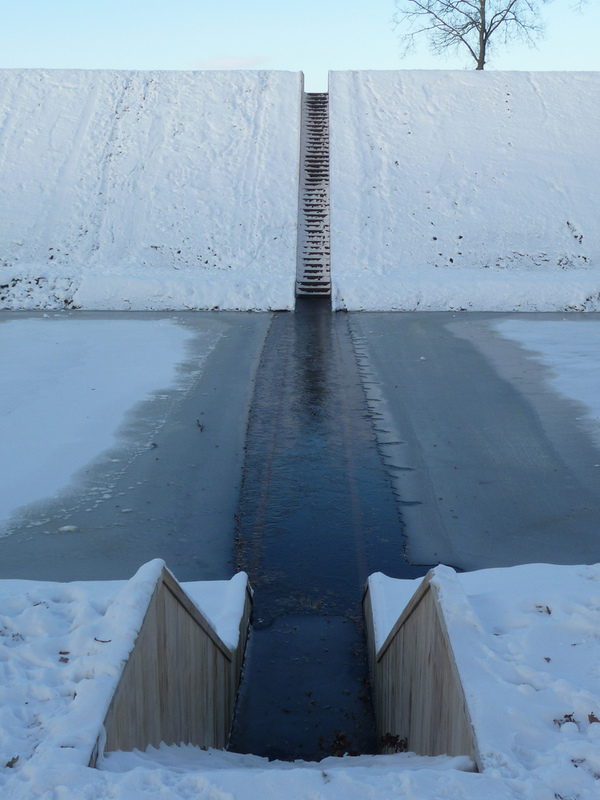 When the moat freezes in winter, the design becomes invisible. Tags: Architecture, Building materials, Photography, Travel, wood. Bookmark the permalink. Oh but I would love to live in it in England. 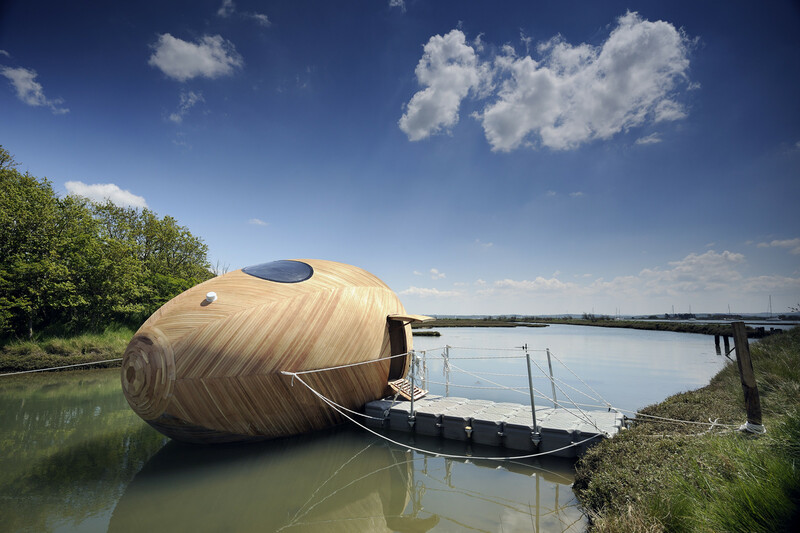 It is my soul country after all 🙂 I love the quirky spaces the Egg Home would present. 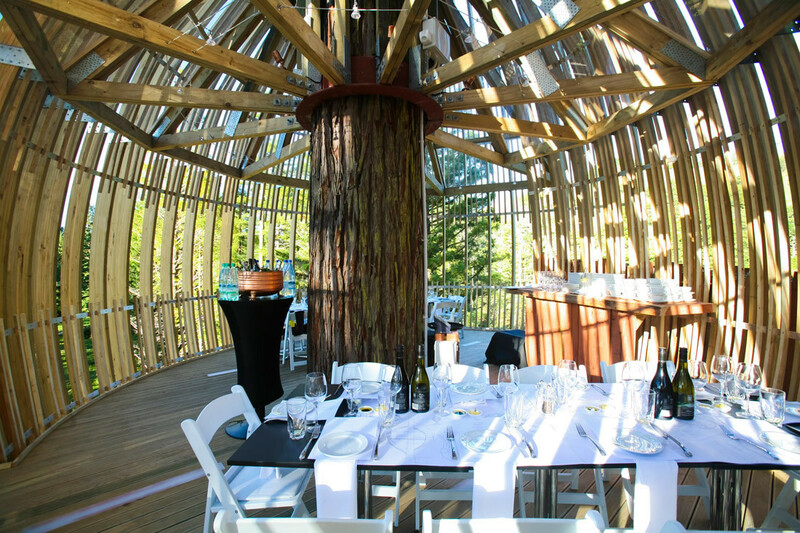 Imagine the challenge of doing up an oval shaped structure! That’s very true, one couldn’t go for IKEA to purchase furniture. I think it’ll drive me crazy to live in such a shaky (and small) space. What do you think? Hmm well one could make it bigger and incorporate a bit of tricky design where you can have levelled out floors so that you do not feel like Alice living in a cubbyhole 😉 Non? Alice in wonderland is one of my all time favorites! Disney has some really good movies. Outstanding designs. They are beautiful and the craftsmanship is amazing. Hi Henry, thanks for stopping by. Is there a favorite on the list? Hi Virginia, They are striking. Though if I have to pick it would be 8 and 9. Large scale wood work is always impressive and of course Moses Bridge has that something where it shouldn’t be look. 2 and 6 make me feel claustrophobic. Just looking at the pictures makes me want to go outside. Number 1 I like though mostly because I’m intrigued by others libraries. (I work in one). 3,4 and 5 are beautiful. 7 is nice but it reminds me of out of control lattice work Anarchy! Though the interior is nice. But 9 wins it illusion of cutting a line in the water works for me. That’s a good analysis! I didn’t know you worked in a library, that’s so interesting. What do you think about architecture in libraries? I like the new open style of libraries. Our library is an Undergraduate Library and sometimes it’s like a circus. We allow it to be loud, busy and you can bring food. Our upper floors are for quiet study. But our entrance is wide open with monitors, a little cafe and plenty of room to meet. I think it’s great. We have rooms where you can produce videos, have video conferences or make any type of communication tech stuff you like. Our local libraries have places for kids to play, surf or play video games while the adults can use computers and even read books. I’m all for the new designs. Providing a place for access to technology is very important for communities. The libraries have morphed into information and access centers. The new architectural designs support that. Many libraries loan musical instruments, bicycle pumps and other non traditional items. Which is pretty fascinating. Sorry to go on and on but once I start… The short answer to your question is that the design of the libraries can pay homage to the past while providing for the needs of the future. I think it’s great. This answer is amazing! I am very pleased to discover how modern libraries are embracing modern lifestyles, our connection with technology and also the need to be loud. Libraries are places to connect, to share and to learn so it seems your library is doing great at all those aspects, congrats! Thank you. It is amazing. Our Librarians and Staff are always pushing the edge of technology. It is a very exciting time for libraries where everyone can experience the latest with a solid dedication to preserve and provide access to the past. Out of all the places I have worked the libraries (2 of of them) have been the best jobs, just on the basis of learning and forward thinking. All the new technologies can be experienced at the library so you can try before you buy. Superb designs take the breath away.Regards. Thanks Jalal! Wood has a lot of future in the built world. Any favorites on the list? heheh thanks! Have a great weekend Jalal. You Too Virginia , No.6 is exceptional ,the tree is the foundation amazing concept. Thanks Valentina! 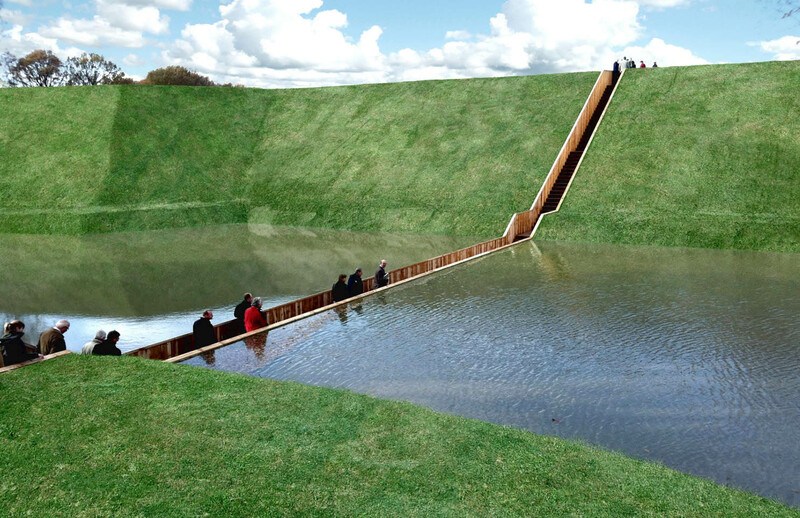 Isn’t it a stunning urban intervention? What did you think of Seville? That’s so true!And also that it rains everyday, such a stereotype 😀 Which part of Spain are you from? Madrid! And what part of Italy are you from?